UniTECH Communications London provides over 300 clients in the United States and Canada with NovaBACKUP to protect their critical business data. UniTECH Communications London started 25 years ago rewriting the standard for firewalls and VPNS. After becoming an industry leader in that field, UniTECH branched out and began offering file servers, backup, network attached storage as well as cloud backup. Based out of Ontario, Canada, they manage over 300 clients all over Canada and the US. THE CHALLENGE: Protecting their Windows Server 2012 clients with a backup solution that offers full Support Combined with a Simple User Interface. When making the decision to offer backup, owner Steve Platek had originally decided upon Symantec Backup Exec (Now Veritas Backup Exec). As time went on, they began to receive calls and even complaints from customers about their server operating systems not being fully supported by their current backup solution. Technology was evolving rapidly, and UniTECH needed a backup solution that could keep up with the pace of OS releases and updates. With the Windows Server 2012 operating system they specifically needed a backup solution that offered comprehensive OS support and would continue to upgrade and adapt to new Windows releases such as the upcoming Windows Server 2016. Additionally, they needed a solution that allowed them to monitor and make changes remotely. Platek was looking for a straightforward solution that didn’t require an engineering degree for their customers to operate and worked well with VMware. After the calls from frustrated customers started getting old, Platek knew it was time to find a resolution. With some careful online research to compare the benefits and cost of backup solutions he stumbled across NovaStor. Impressed by the wide array of features and plug ins offered at no additional charge, in a single license he knew it couldn’t hurt to give the backup solution a try. The decision had been made. 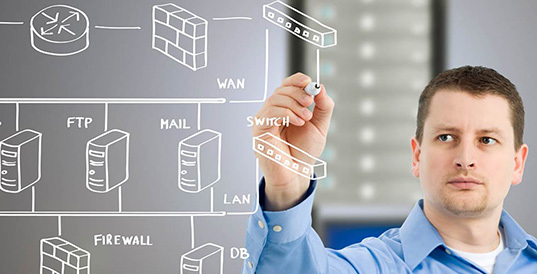 UniTECH would deploy NovaStor’s small business backup products (NovaBACKUP Business Essentials, Server, and PC) into their small environments, while looking to NovaStor’s network backup solution DataCenter for their clients with more distributed environments. “From that day on we haven’t looked at another backup solution, NovaStor is everywhere we are”, said Platek. Today UniTECH takes full advantage of the Virtual Dashboard getting real time notifications about the status of backup jobs and installations. “You can be a supplier and work in the computer industry for a number of years. Unfortunately, unless you’re able to make sure your backups are successful and you’re able to restore when you need them your company is worthless,” said Platek. UniTECH chose Novastor three years ago because of the scalable software platform that allows their customers to backup hundreds of machines to distributed storage arrays across their network. The cost structure and scalability has led their clients to realize the security and confidence to continue their relationship over several years.